16th Global Chinese Culture and Arts Awards ceremony in Taipei. 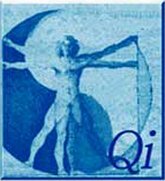 culture and tradition through the martial arts of Tai Chi and Shuai Chiao kungfu. Congratulations to Sean Duffy, 5th Chieh; Amir Ahmed, 4th Chieh; Marya Barrios, 5th Chieh; and Fabricio Castellano, 5th Chieh. 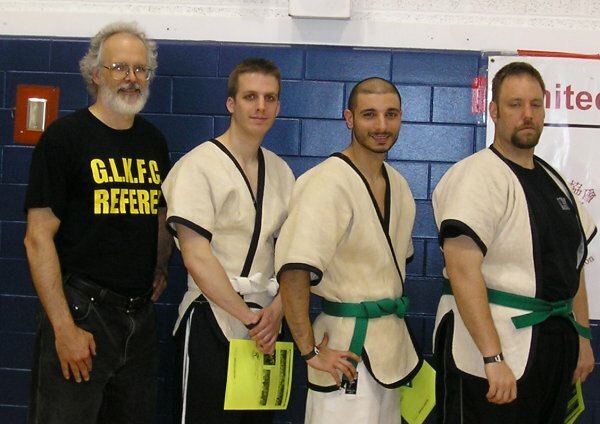 And special thanks to Sifu Raymond Trepanier and Sifu Tammy Lake for serving on the Belt Test Committee. 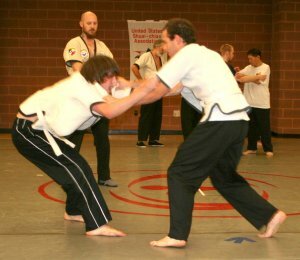 presented back-to-back Tan-tui and Tang Soo Do Rope Technique seminars for members of both Clubs. Congratulations to all participants for a successful event! 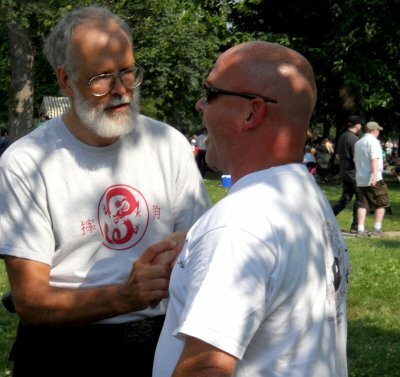 Our thanks to Tournament Director Sifu John Ervin, and to Mr. James Van Doren and the Case Western Kung Fu Club for the venue. 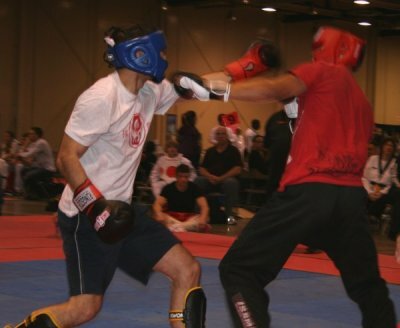 Our six-man team had only one previous fighter at the GLKF: Husam Sweidan, who took 2nd place in the Middleweight division. 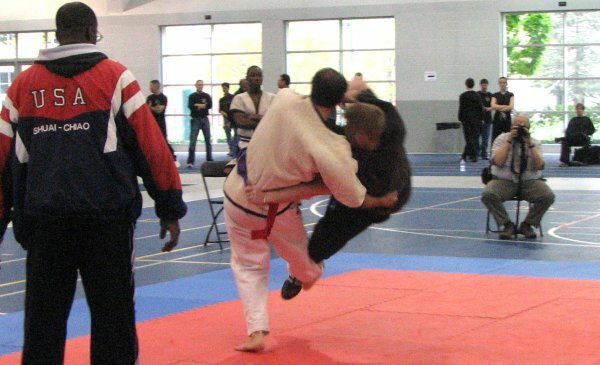 Club President Amir Ahmed placed 4th in the Middle-Heavyweight division. 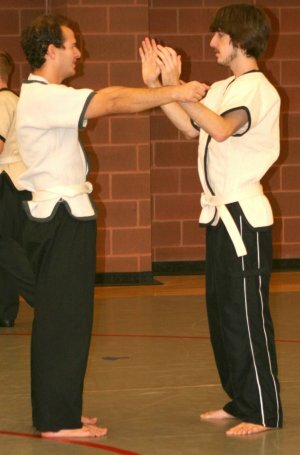 Come join us and develop your own "mad skills" in kungfu! 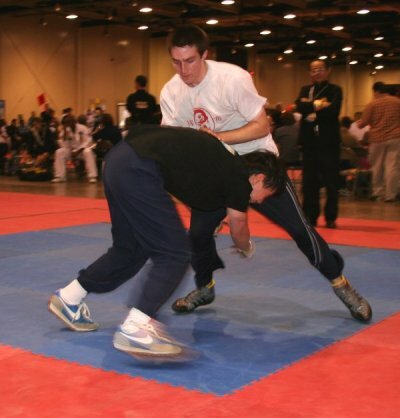 Sean Duffy in his first match against an experienced opponent forced a third round, and scored a maximum four-point throw before being edged out on points. 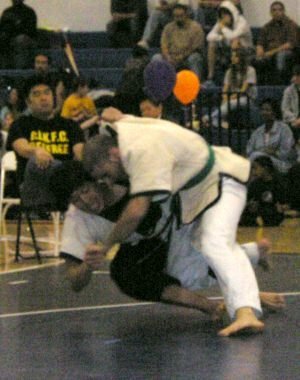 Sean, in his second match, won on points. raises Sean Duffy's hand as BOC Push Hands Lightweight Division Second Place winner. 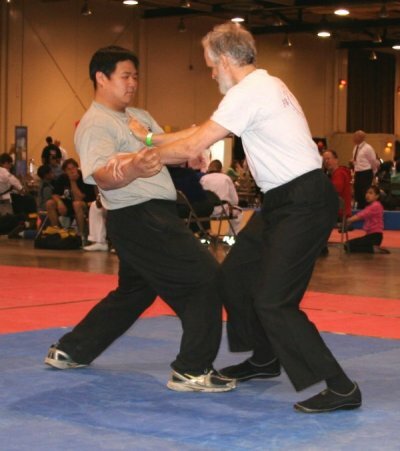 Mike Grigsby pressing on Tim Hwang. 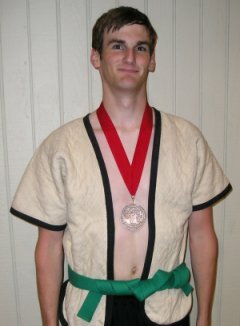 but opponent James came back to win on points and take second place in the Heavyweight Division. 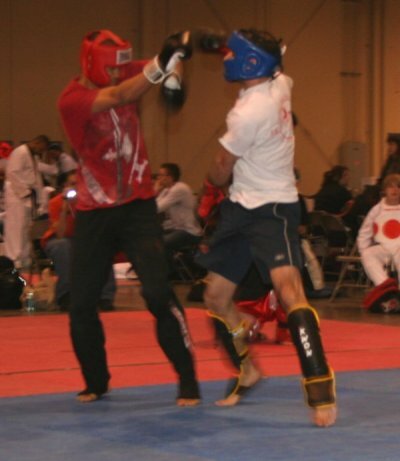 Despite a very strong start, with a blitz of punches and a powerful throw, Husam was eventually overcome by this experienced opponent's skill and stamina, but took 2nd Place in his Sanshou weight division. 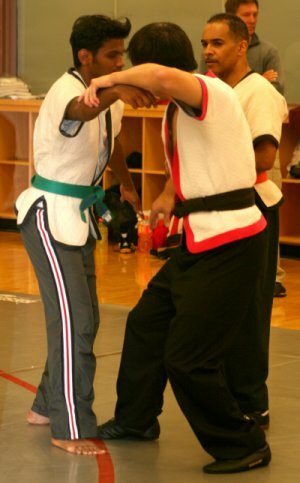 Our thanks to our fellow martial artists of the Buckeye Tang Soo Do Club, who joined with the OSU Shuai Chiao Kungfu Club to put on a demonstration and offer free self-defense lessons to the Lincoln Tower dorm residents on February 17th, 2010. 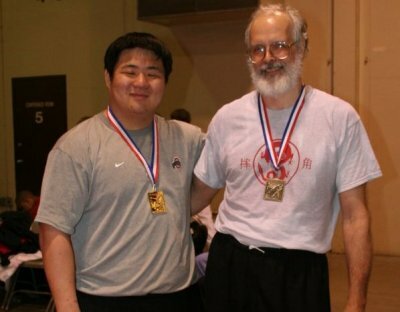 Charles is the first Shuai Chiao Competitor to be so honored! Charles rapidly ascended the divisions and places. 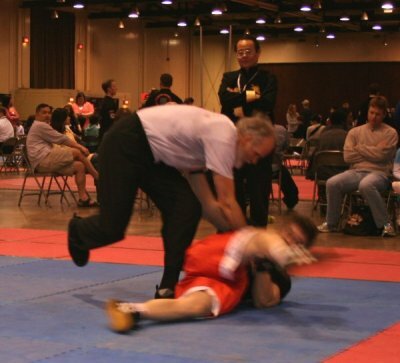 Click here to see how Shumaker handled his first opponent in the same tournament. 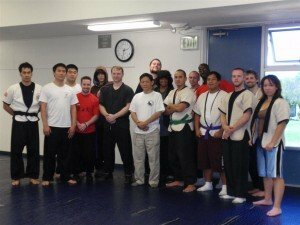 Special thanks to Master Shie-Ming Hwang and Sifu Timothy Hwang for instructing our Club members. And our Thanks to all competitors, officials, and guests. for being on the testing committee. 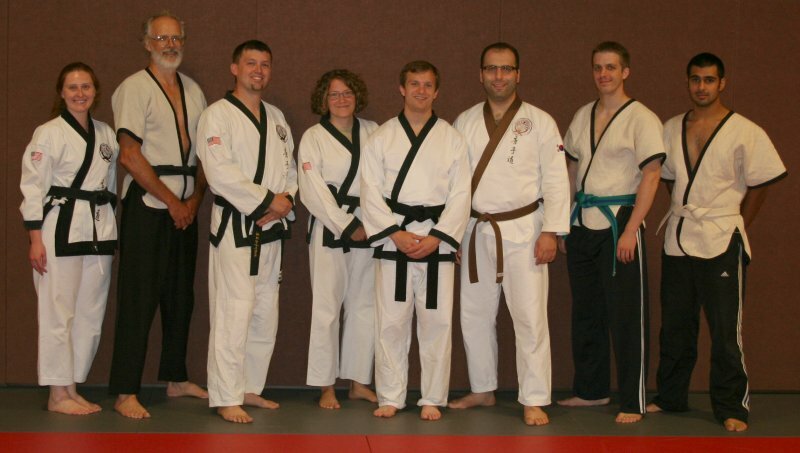 OSU Kungfu Club Head Instructor Mike Grigsby presented a two-hour Tan-tui Kungfu seminar for the Buckeye Tang Soo Do Club on August 3rd, 2008. 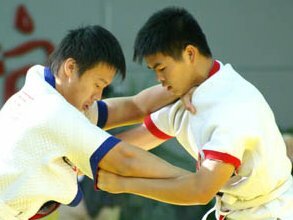 The founder of Tang Soo Do, Hwang Kee, studied Tan-tui kungfu and other Northern Chinese styles which he incorporated, along with Okinawan and the Korean martial arts, into his eclectic Tang Soo Do (literally, "Chinese Hand") style. 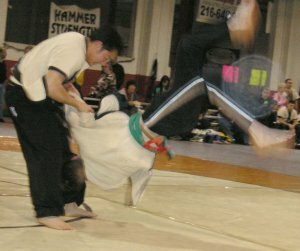 The Grandmaster of our school of Shuai Chiao, Ch'ang Tung Sheng, was also an eclectic martial artist, and had passed down his knowlege and interpretation of the Tan-tui forms. 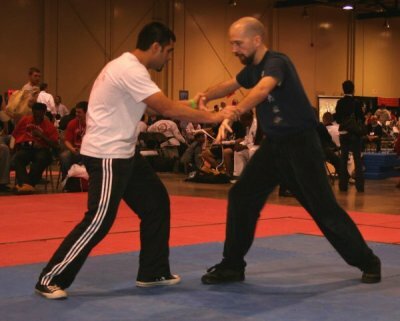 It was a pleasure and honor to help spread the knowlege of this Northern Chinese Muslim form of kungfu to other serious martial artists of the modern era. Thanks to Club VP Sugumar Murugesan for promoting our picnic and boomerang throwing seminar. 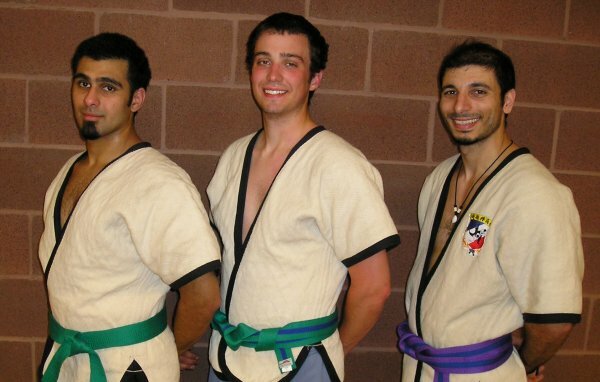 Congratulations to our three new 5th Chieh (Green) and two new 4th Chieh (Green/Blue) belts. 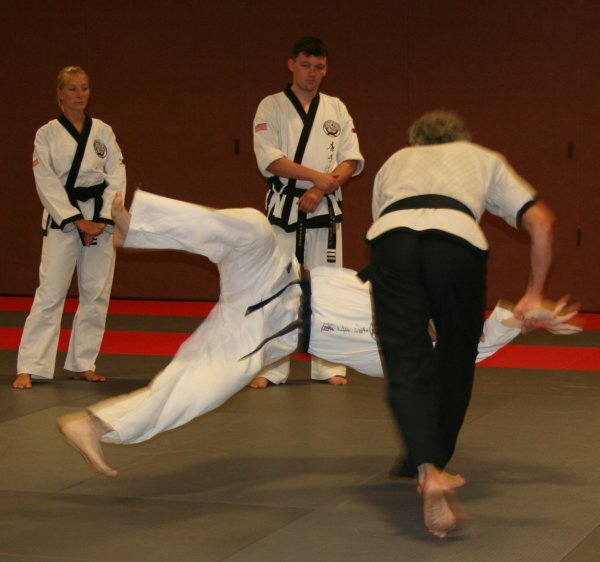 Special thanks to Club Alumnus Elek Karnai, and black belts Tamera Lake and Jack Chuang for being on the Testing Committee. 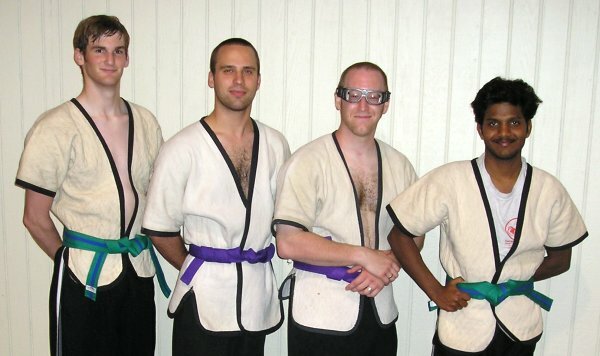 None of the team members had any previous tournament experience. 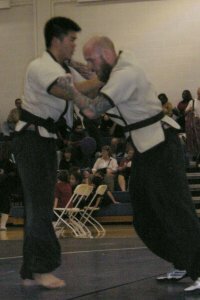 both placed 3rd in their divisions. as referee Tim Braun observes. 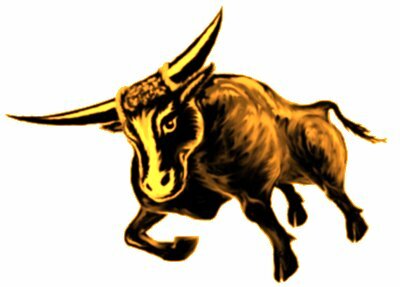 soundly defeats Samuel Hai, 10-0. 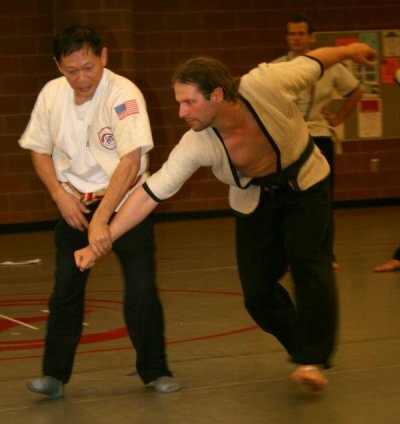 Shuai Chiao black belt, Charles Lin. 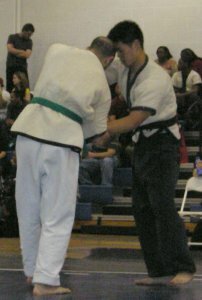 with the Shuai Chiao "embracing" throw. 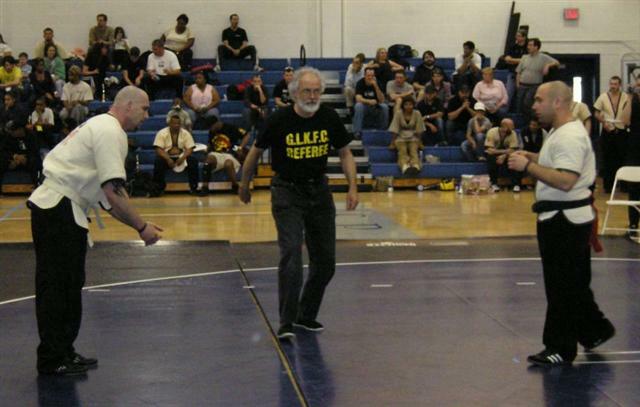 Mike Grigsby referees a hard-fought match. 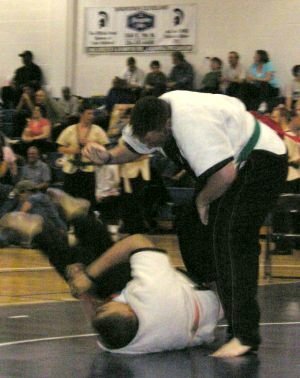 in the 196 to 215 lb division. 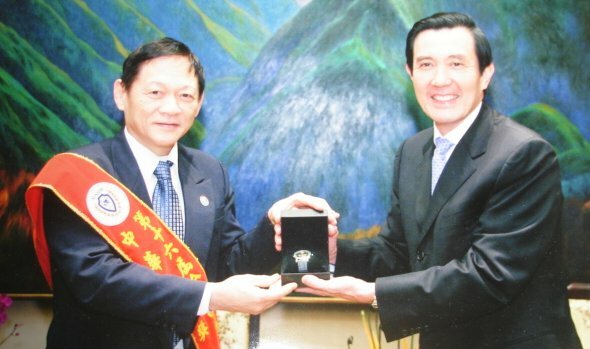 Vice-President Sugumar Murugesan, 3rd Chieh. 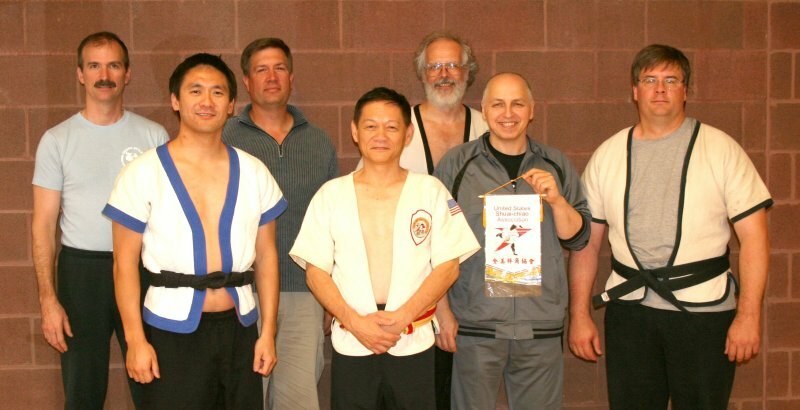 the Shuai Chiao Kungfu Club at OSU and Shuai Chiao students from all over Ohio attended the RPAC event. 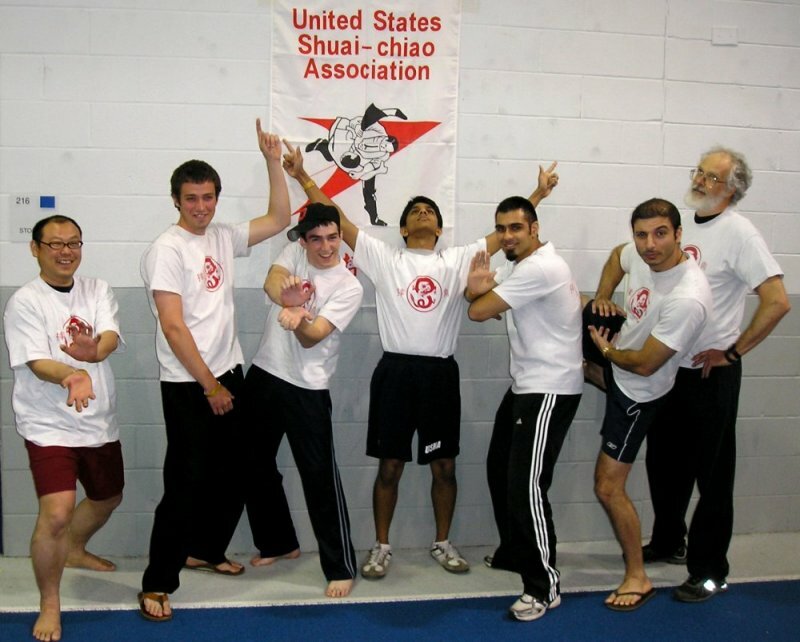 were selected for the USA Shuai Chiao Team that competed in Shanghai,China, in late November 2007. The USA Team took 4th place -- the highest placing non-Chinese Team! 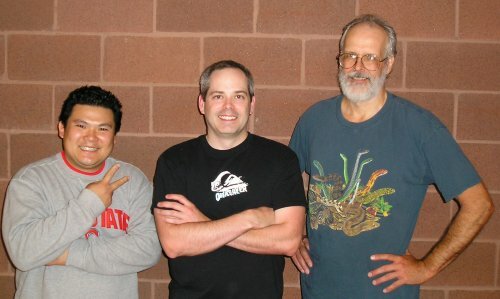 All of these participants at the Mini-Camp studied with Dr. Weng at OSU over twenty years ago! 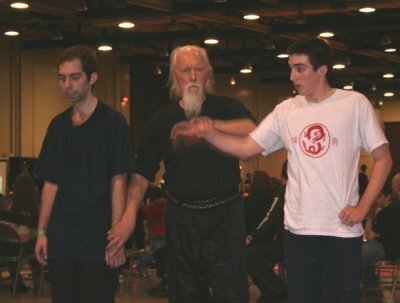 of the basic hand entry techniques. 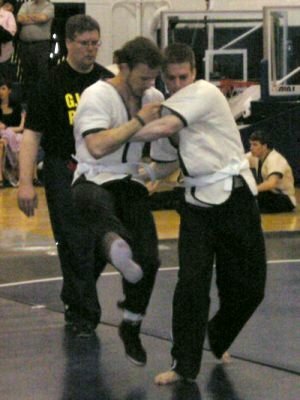 actually try to throw someone! President Sugumar Murugesan basic entry technique. in the last match of the division. 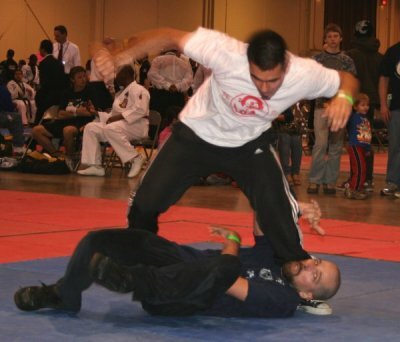 "Strategies for Advanced Tournament Fighting"